This review was written by Erin Weiss-Trainor, mother of 3 boys, Director of Precision Nutrition Community Activity. Erin holds a Degree in Kinesiology and has a Masters Degree in Biomechanics. Having experienced the joys of being pregnant three times over for a total of 839 days (who’s counting), it’s clear just from watching Lauren Brooks’ latest DVD, Baby Bells: Fit Pregnancy Workout With (Optional) Kettlebells that it would have been a great addition to my training regimen as I aimed to stay fit and strong as each of my babies grew. Similar in training structure and instruction to Brooks’ first DVD, Baby Bells offers a variety of lower intensity and equipment options, along with modified positions to accommodate a wide range of abilities and the changes in a woman’s body as pregnancy progresses. 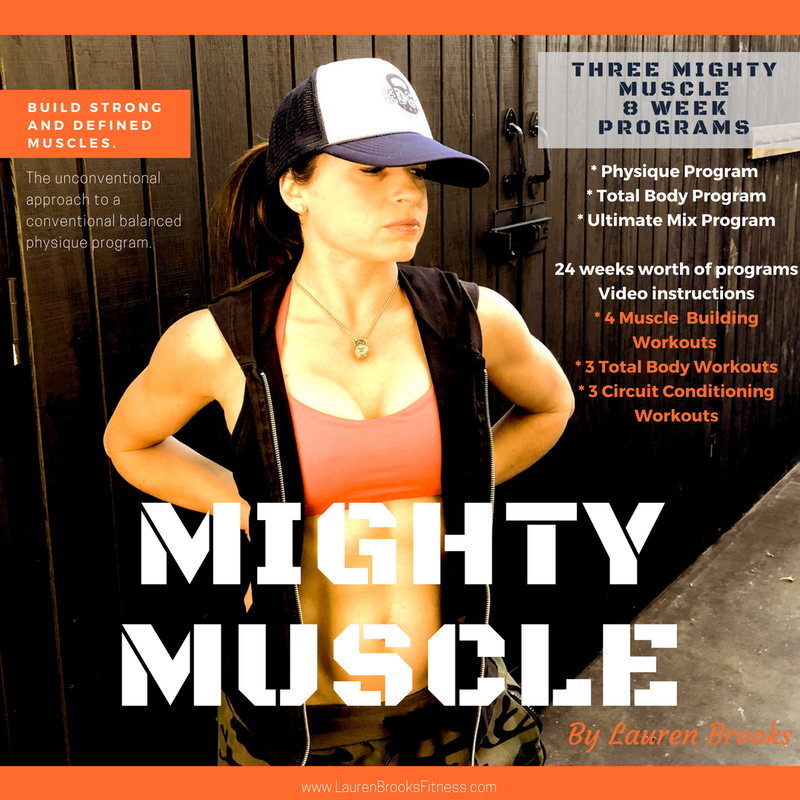 For those who have used kettlebells in the past, and are looking to continue training during their pregnancy, this DVD is a great follow-up to Brooks’ first DVD, The Ultimate Body Sculpt and Conditioning with Kettlebells. 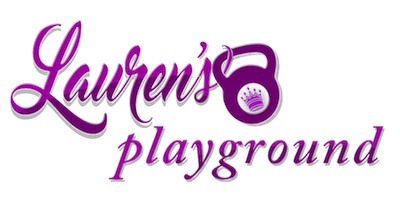 With a more mellow and calming feel than her first DVD, Lauren, 6 ½ months pregnant with her second child, introduces viewers to the benefits of exercise during pregnancy and the precautions that need to be taken when exercising during pregnancy, as outlined by the American College of Obstetricians and Gynecologists. 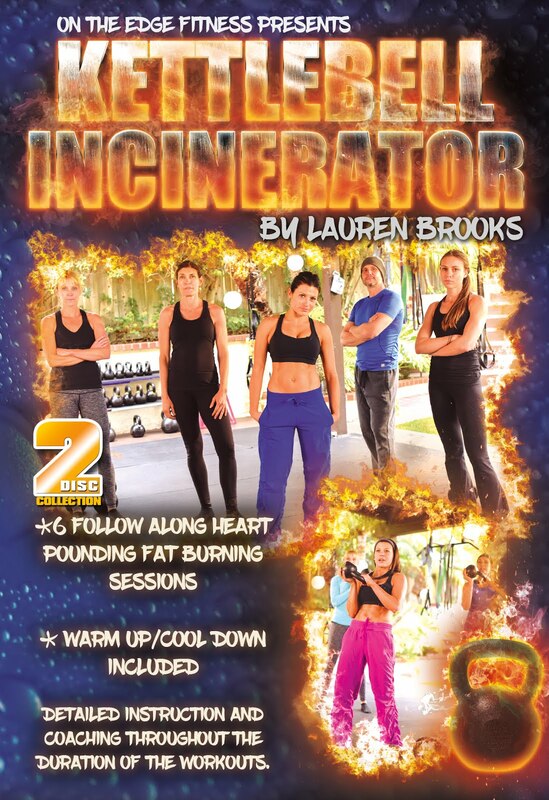 Encouraging participants to listen to their bodies and always err on the side of caution, the DVD takes viewers through a three-part workout where three to five exercises are completed circuit-style and then repeated. Along with bodyweight exercises such as push-ups, many of the standard kettlebell exercises, such as two-handed swings, sumo squats, one-arm rows, step back lunges, and tricep presses are included. Lauren shows how kettlebell size should change with each exercise and gives options to perform these with dumbbells or bodyweight alone. 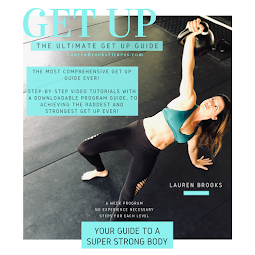 As Lauren demonstrates the higher intensity versions, an inset video provides alternatives for modifying the position and range of motion of the movements. Participants are encouraged to take as much rest as they need between exercises, and between sets within each part. Paired with a joint mobility warm-up and a cool-down with stabilizing and stretching geared specifically to target muscles and joints that are under more stress during pregnancy, the entire workout takes just over 35 min and can easily be performed anywhere with little to no equipment. For experienced kettlebell users who want to experience increased energy and strength during their pregnancy, and prepare their bodies for an easier delivery and recovery from childbirth, this DVD provides a complete and enjoyable way to do so. With less specific instruction on kettlebell form than the first DVD, those who are both pregnant and new to this type of training can get the same benefit, but would be best to stick with bodyweight or dumbbell options. 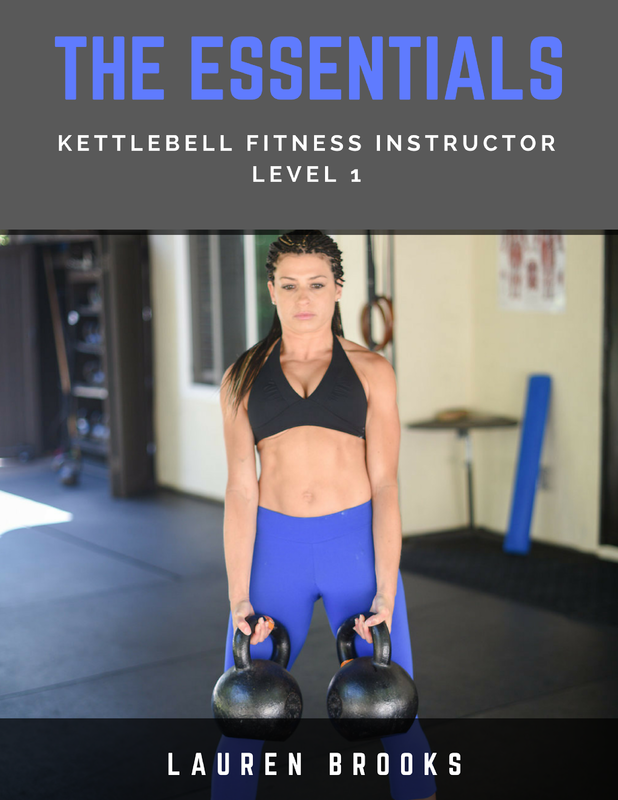 Learning the basic kettlebell movements is best mastered when a woman’s body is not going through the many changes of pregnancy, or having to worry about a cumbersome belly. 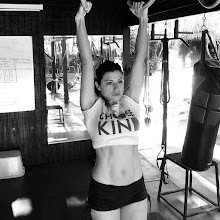 Something about watching Brooks swing the kettlebell around her gorgeous belly makes you appreciate the strength and power of a pregnant woman. Once again, Lauren inspires. 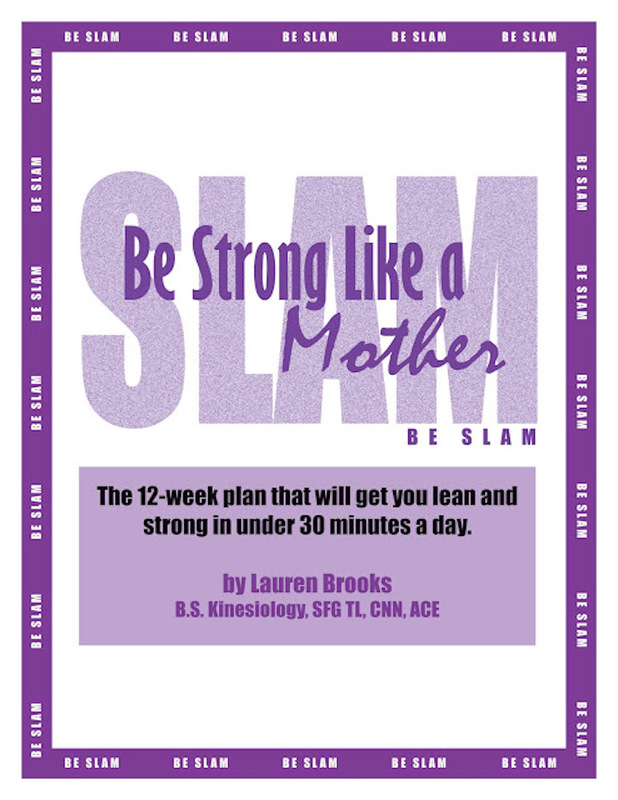 While many women may use the excuse of pregnancy to literally “eat for two” and stay away from the gym, the energy that Lauren radiates proves that making fitness and healthy eating a priority even during pregnancy is good for mom and for a healthy baby. Hey Lauren! Great review! Congrats on another successful dvd! I can't wait for your follow up to Ultimate Kettlebell Conditioning. Forgive me if this is too personal, but are you due to have your baby soon? Hope you're feeling great--you certainly LOOK phenomenal! Thanks so much! I actually just had my baby last week on the 17th. I will post pictures asap. There are lots on my facebook page right now if you want to see. Lauren: Congratulations on the baby! She was born on my late mother's b'day :). 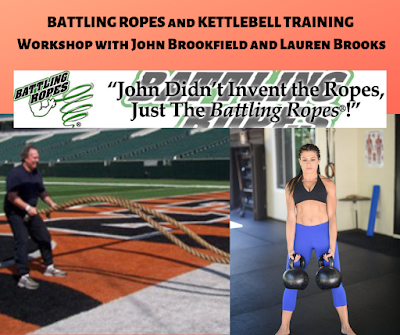 Am looking forward to your follow up to Ultimate KB Conditioning as well. Wish I had had your video when I was pregnant with my two. (Get some sleep). (Gyl -- over 50 mom doing your UKBC video). Thanks so much for stopping in and I am glad you are enjoying my blog. This is great lauren, glad to get this post. Lot of pregnant lady will helpful by your tips. Thanks for sharing.